Straight away you realize something’s a bit different about this Dino. The wheels are beefier, the arches are angrier, the sound it makes doesn’t sync with your memory of these cars (probably because there are two extra intake trumpets underneath the transparent engine cover), and while the badging looks factory-correct, you don’t think there was ever an Evo version of the mid-engined sports car named after Enzo’s tragic son. 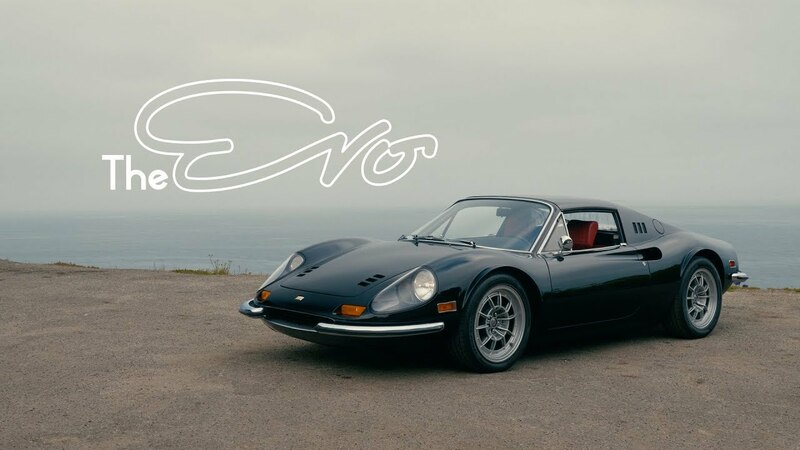 The car is a one-off, and it’s part of the venerable collection of classic and modern Ferraris owned by collector David Lee. By borrowing a block from the F40, losing the turbos, boring it from 2.9 to 3.6L, and fixing twin banks of velocity stacks, David’s “Monza 3.6 Evo” is a naturally-aspirated screamer that combines modern performance with the Dino’s ageless style in a package that doesn’t compromise on either end.